If there is one blanket statement you can make about Southern cooking it's that it doesn’t shy away from flavorful ingredients, whether they are rich like butter, sweet like sugar or spicy hot like chile peppers. The recipe below combines the first two in a decadent dessert that may just be one of the South’s best kept culinary secrets. 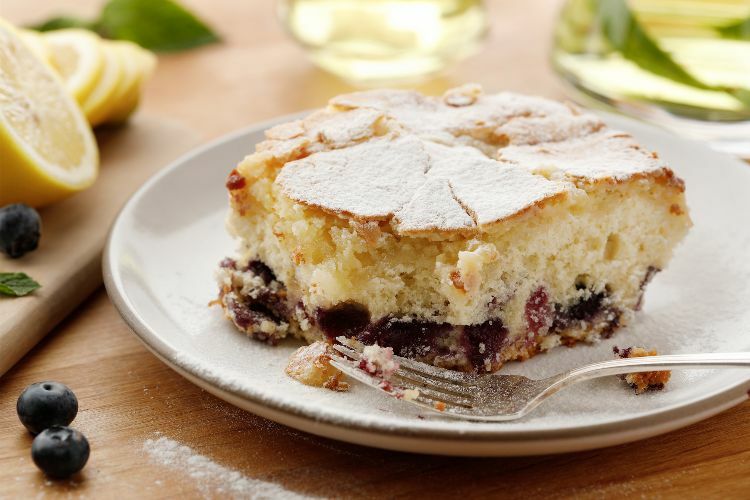 In this version, a cake layer that’s studded with fresh blueberries serves as a base for an ooey, gooey topping made of butter, cream cheese and powdered sugar. It’s an addictive dessert that I’m willing to bet will soon become as much of a favorite at your house as it has at mine. Preheat the oven to 350 degrees F. Spray a 9-by-13 baking pan with baking spray. In a medium bowl, whisk together the flour baking powder, baking soda and salt. In a large mixing bowl, beat the sugar and egg until the mixture is pale yellow. Add the butter, buttermilk and vanilla and beat to combine. Slowly add the dry ingredients to the batter, beating on low speed just until combined. 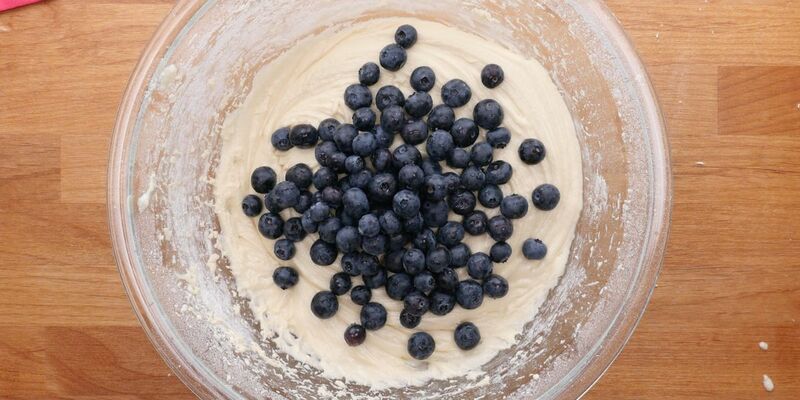 Using a rubber spatula, gently fold in the blueberries. Pour the batter into the prepared pan. To make the topping, in a large mixing bowl, beat together the butter and cream cheese until smooth. Add the eggs and vanilla and beat to incorporate. Add the powdered sugar and beat just to combine. Spread the topping over the cake batter in an even layer. Bake for 45 to 55 minutes, until the topping is mostly set but still gooey in the center.